St Anne's Ancroft is 3miles south of Berwick. 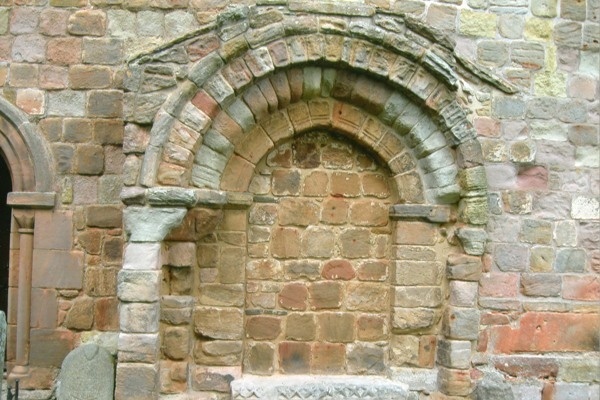 It was formerly a chapel of Holy Island. 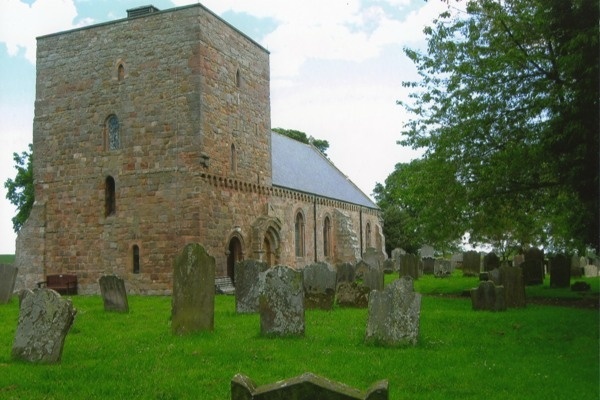 This Grade II listed building dedicated to St Anne, the mother of the Virgin Mary, was built at the end of the 11th Century by the Holy Island monks. Of particular interest is the defensive 'pele' tower which is unusual in that it is attached to the church, built up from the vaulted West end which forms the entrance. 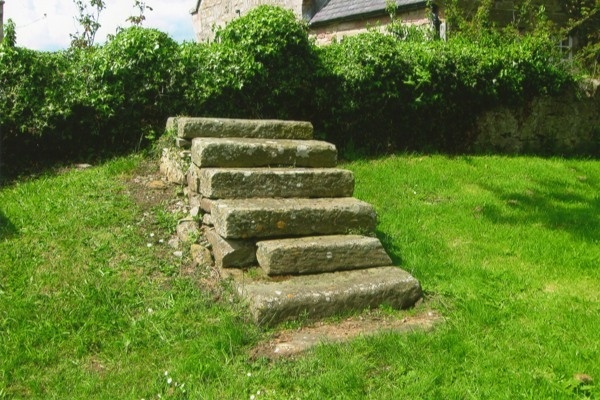 It was added to the church in the 13th or early 14th century to provide living quarters for the priest. 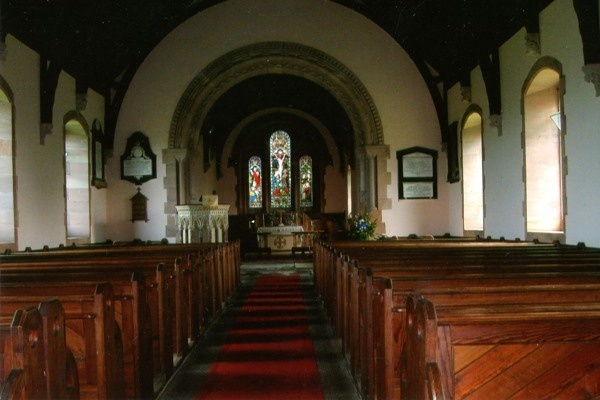 The church was restored in 1836 and again in 1870 (by FR Wilson), the nave being extended, a new chancel built and door and windows replaced, some with stained glass. It is built in a variety of local sandstone, mostly pink and grey tones, and the main roof is Welsh slated. In the 1980s the tower roof was renewed in copper and the parapet felted. The bell frame and timber louvred housing was renewed in 1995. Access to the tower is via a corner stone circular stair and low timber door. 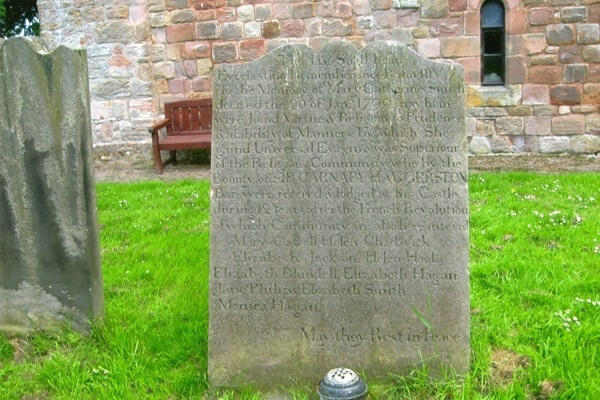 In the churchyard is an intersting headstone where ten nuns of the 'Poor Claires of Rouen' community are buried. They had been lodging at Haggerston Castle on returning from Rouen to England after the French Revolution. Visitors are most welcome and can go up to the tower to view Holy Island and Bamburgh Castle, which can be seen from the top in clear weather.